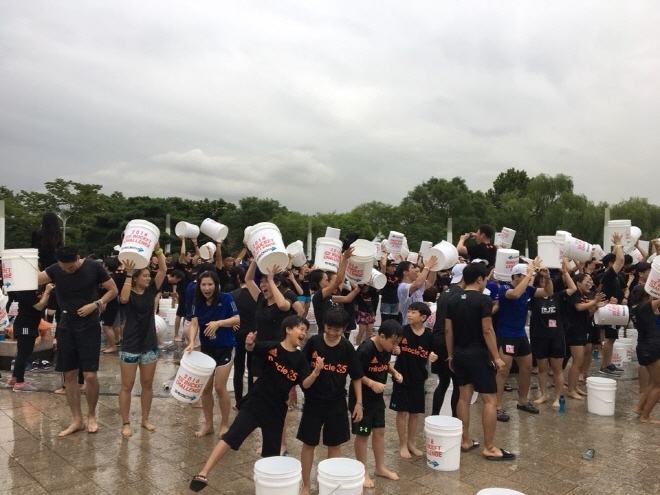 SEOUL, Sept. 17 (Korea Bizwire) — The previous world record for the greatest number of people simultaneously performing the ice bucket challenge was broken on Saturday in South Korea. 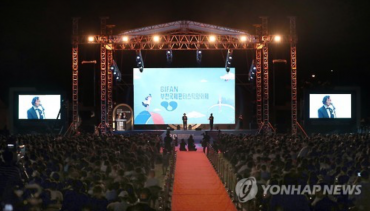 According to the Seungil Hope Foundation, 920 people simultaneously participated in the 2018 Ice Bucket Challenge Run held on September 15 at World Cup Park in Mapo-gu, Seoul. The Ice Bucket Challenge involves the dumping of a bucket of ice and water over one’s head to promote awareness of amyotrophic lateral sclerosis, more commonly known as Lou Gehrig’s disease. 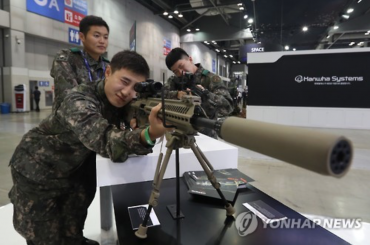 After becoming a global phenomenon in 2014, the Ice Bucket Challenge has seen Korean politicians, celebrities and sports stars drench themselves with ice and water for a good cause. 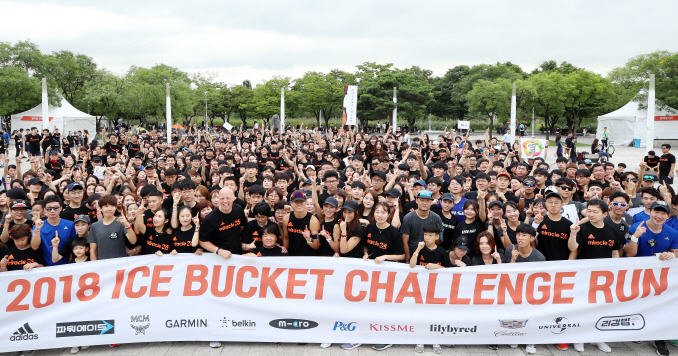 Seungil Hope Foundation, the host of the bucket challenge run that day, was co-founded by Park Seung-il, a former star basketball coach who is currently suffering from Lou Gehrig’s disease, and the pop star Sean. The previous world record had 803 people participating in the ice bucket challenge, a record that was shattered that day. 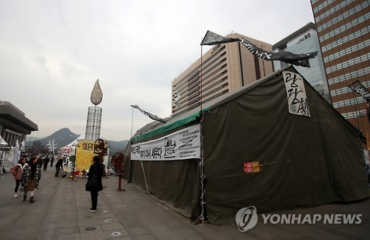 Park Seong-ja, an executive officer at the foundation said that a total of 58 million won was donated for the purpose of building a hospital for Lou Gehrig’s disease patients. 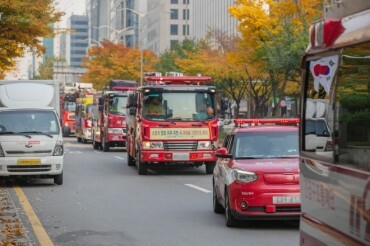 Park also thanked those who had donated various goods to be used for charitable causes.